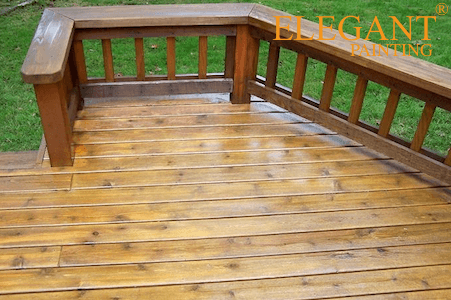 Our #1 choice for the northwest climate, this product repels water like no other! 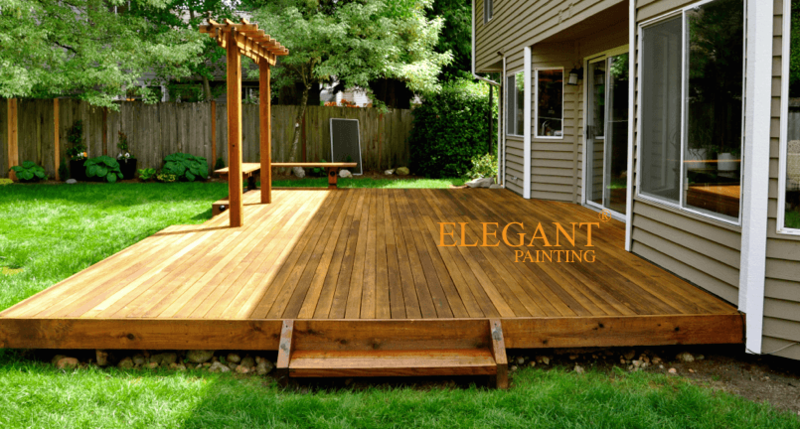 With TWP, you only need to hire a professional the first time. 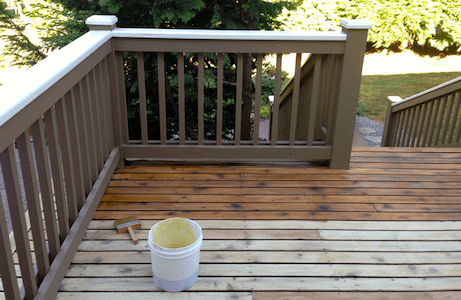 After your existing stain has been removed and replaced, re-application (in approximately 2-5 years) can be a DIY project for a slightly handy person. 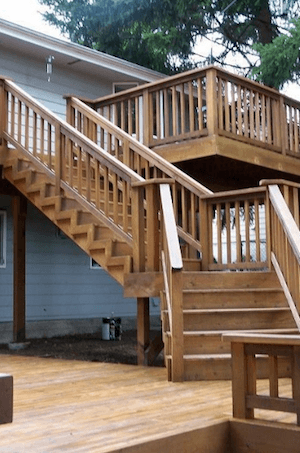 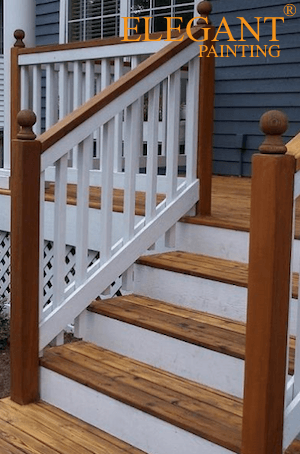 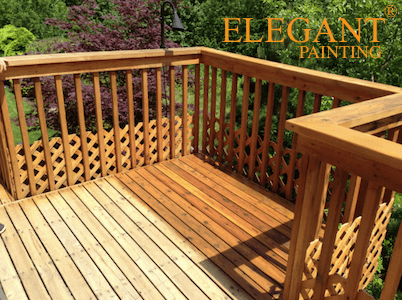 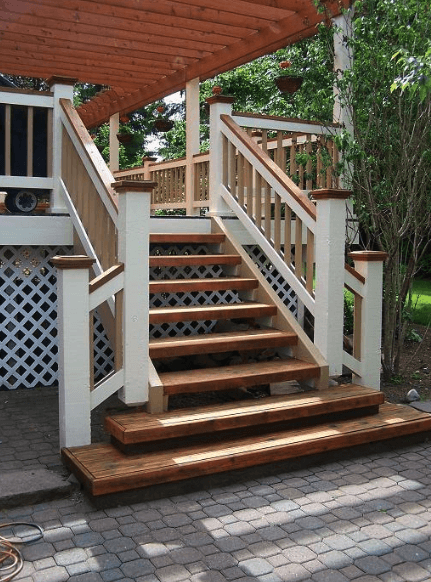 TWP (Total Wood Preservative) protects from UV exposure, rotting, and moisture and is suitable for decks, railings, fences, benches, exterior furniture, and cedar shakes. 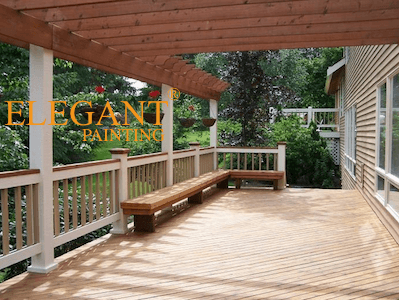 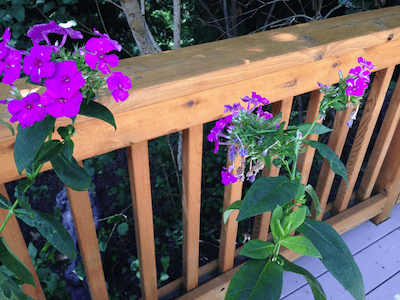 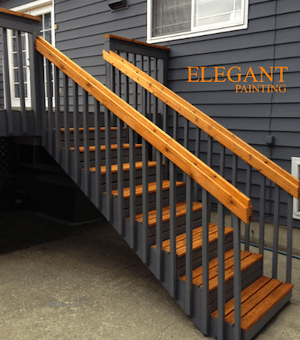 A beautiful deck in Woodinville, WA – complete with elegantly painted multicolor railings. 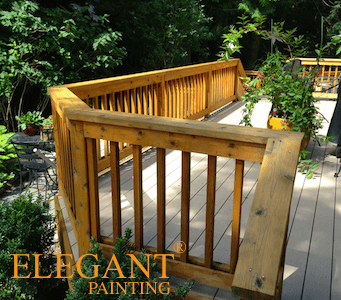 Elegant Painting crew member back-brushing while keeping a wet edge to ensure the most even and over-lap free finish.